JLG Attachment - Following retirement in the late 1960's, John L. Grove set out on a cross country RV voyage. 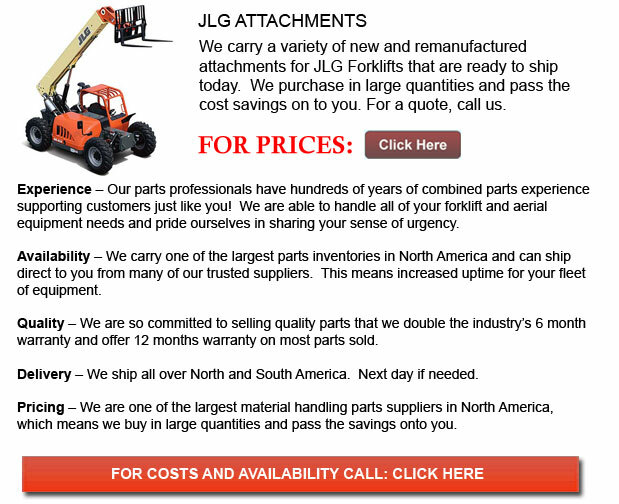 After spending many years establishing his family built crane company with his brother, John had no idea that this journey would bring forth the rise of JLG Industries, Inc. The world leader of mobile aerial work platforms and precision material handling equipment was the end consequence of a road expedition. All through their trip, John reacquainted himself with previous business associates along the way. In combination with these conversations and a noteworthy event; two workers were unfortunately electrocuted on scaffolding when the Groves were passing through the Hoover Dam. John uncovered a substantial marketplace for a product that could quickly and securely elevate people in the air to accomplish upkeep and other building services. Upon returning from their travels, John established a partnership with two friends and bought a metal fabricating business in McConnellsburg, Pennsylvania. In 1970, opening operations with a crew of twenty workers, they manufactured and sold the first JLG aerial work platform. The business incorporates many of the basic design essentials of that original lift into existing models. Since then, JLG Forklifts have come a great distance from when Mr. John L. Grove came back from his fatefull cross-country journey and since the first JLG aerial platform entered the market. As of today, the business has expanded itself into many different global markets and continues to develop innovative machinery to ensure that customers are able to become safer and more well-organized within their workplace.